National Chairman of the All Progressives Congress (APC), Comrade Adams Oshiohmole, on Monday dismissed as untrue the reported gang-up by APC governors against his leadership of the party. 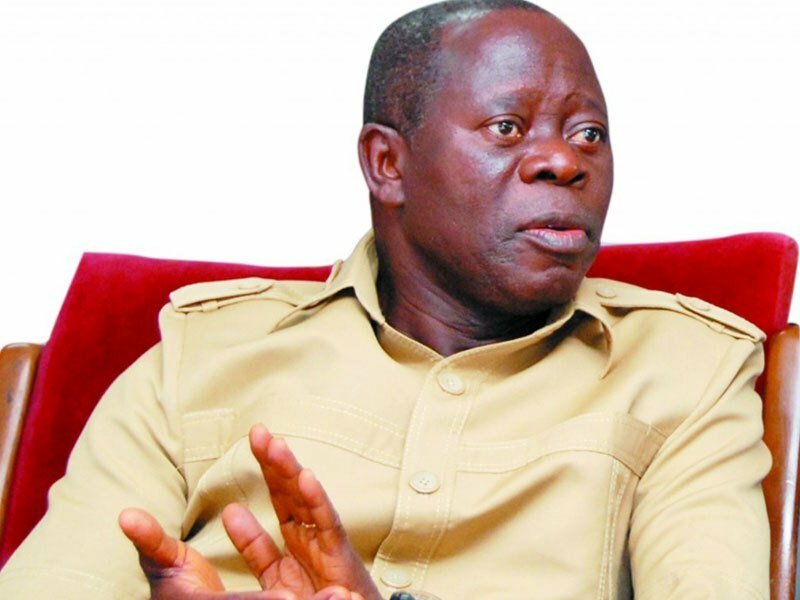 Oshiohmole, who fielded questions from State House correspondents in Abuja, said only one or two out of the 23 state governors under the platform of the APC were vehemently opposed to his leadership style. He said: “Maybe there is one or two governors who have issues and those issues can only be resolved democratically within the spirit, the letter and all the relevant positions of the APC constitution, the APC Election guidelines and of course the Electoral Act. “The Electoral Act is completely blind and our party’s rules also are completely blind to power but it’s sensitive to procedures; it is sensitive to processes. “The good news is that overwhelming majority (of the governors), we have about 23 governors, I think maybe one or two may have some situations they would like to see differently. “But that is the way the world is, but we should uphold the rules. But, it is not correct to suggest that there is a move to remove me. “Yes, one governor has publicly said he would ensure that I’m removed – that is fine. The beauty of democracy is anyone or two could say something but the majority is what matters. Oshiohmole, who described the ongoing political outcry in some quarters as his finest moment, said he would continue to support the interest of the ordinary members of the party against those of the powerful elements or political bigwigs. He said he was very encouraged by the level of participation of members of the party in the political processes including the just concluded party’s primaries across the country. Oshiohmole, however, declined comment on the Monday’s Supreme Court ruling which set aside an interim order of the Court of Appeal in Port Harcourt, which gave the APC, the go ahead to conduct its Ward, Local Government and State Congresses in Rivers State. He said he needed lawyers’ interpretation of the ruling before passing any comment.